Faogen 3 pre-release version available. FBX plugin for Faogen added. 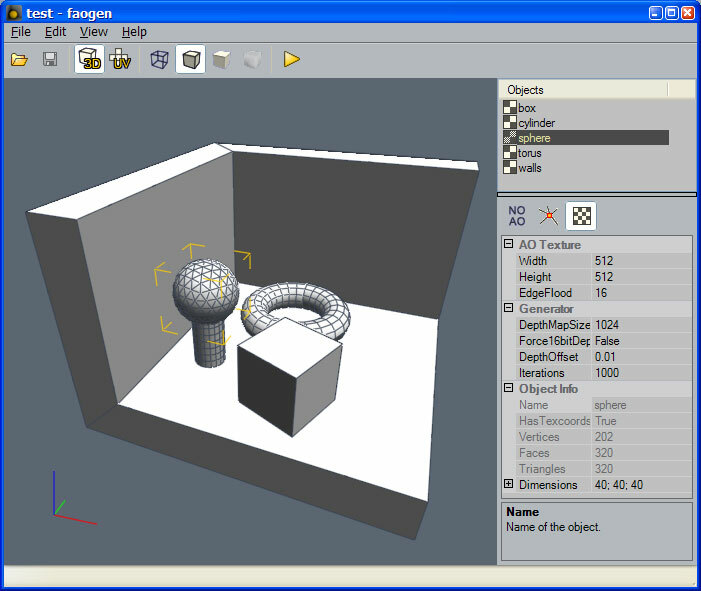 3dsmax script for Faogen updated. 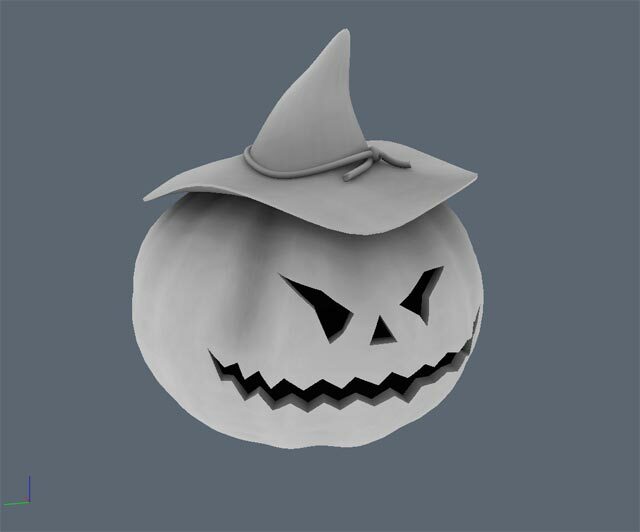 Fast Ambient Occlusion Generator. Use your video card GPU to compute ambient occlusion really fast. Support both texture and per-vertex calculation. Input scene can loaded from Wavefront OBJ or LightWave 3D object (*.LWO) files (future versions will allow to use more file formats). 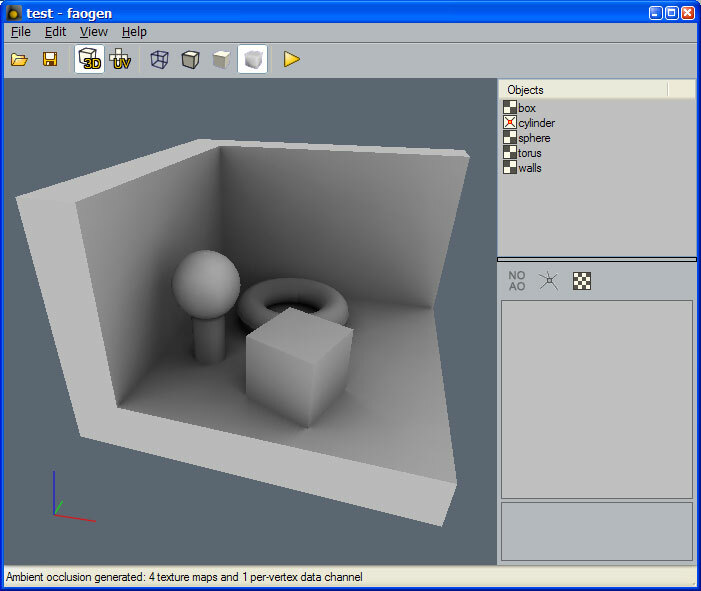 Faogen itself uses hardware shadow mapping, floating-point render targets and OpenGL Shading Language to compute ambient occlusion data. This process is much faster than any CPU-based approach. C++ library for integrating AO generation into your applications also available: Faogenlib. Order Single User License Now! 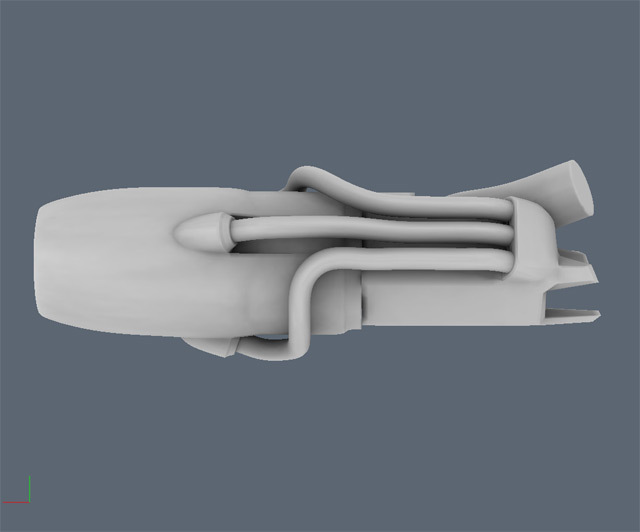 3dsmax script for vertex AO baking: MxT_faogenAOrender.zip. Thanks to Sebastien Larrue. MEL script for automating Faogen use from Maya available: soeBakeAmbientOcclussion.mel. Thanks to Alex Carbonero. Another MEL script can be found here: www.digitalweaponx.net/files/FaoGenRender1.5.rar. Thanks to Lamont Gilkey. LScript for Lightwave: www.digitalweaponx.net/files/FaoGenLWEd.rar. Thanks to Lamont Gilkey. Make sure to use latest video card drivers. See this tutorial to learn basics of Faogen. Note: tutorial was made with version 1.0. This version provide updated ambient aperture and bent normals shaders with ability to customize them. 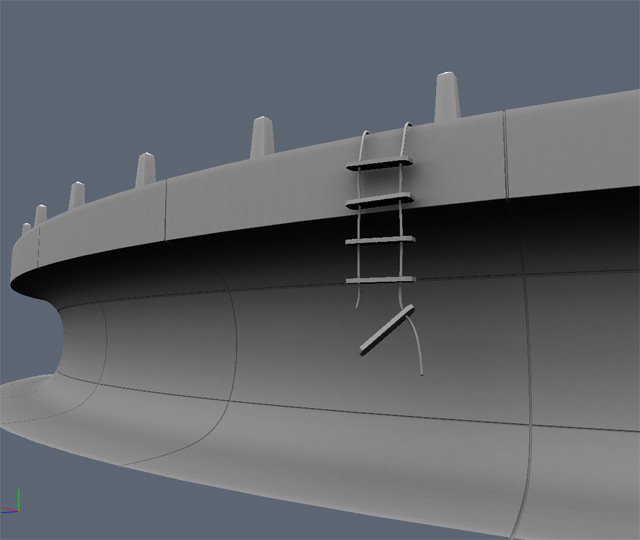 Other features include improved precision on large scale models, adjustable background for AO texture images, lighting animation control and few bugfixes. 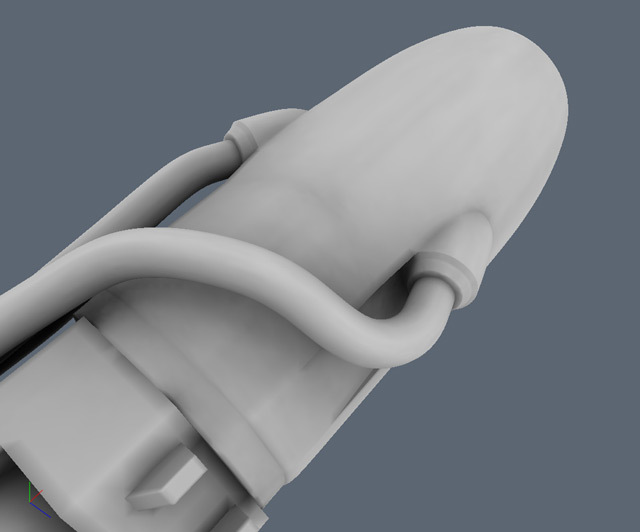 Preview of new AO calculation feature: bent normals. 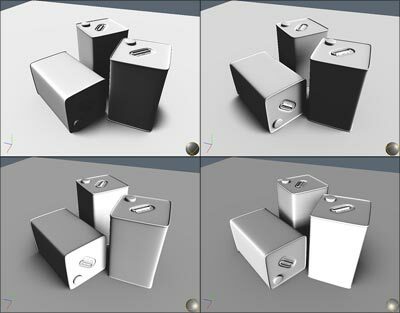 It can be used in many dynamic lighting models from regular fixed-function lighting with bent normals to more advanced like ambient aperture lighting.